Before I go on and set the table for what I think are the best and worst features of The Order: 1886, bear in mind that these are purely based on the information available to the open public such as interviews, articles, trailers and other videos so they may not reflect the final product. But they are definitely extremely possible scenarios. With that out of the way, let’s first see where does The Order finds itself in the gaming world. It defines itself as a third-person adventure game and judging by the gameplay trailers, it resembles Gears of War a lot, which is mainly based on cover-and-shoot mechanics. The Playstation 4 exclusive just went gold, but players have been skeptical over the last few months and they have all the reasons to be so, due to the epic failure of recent what-appeared-to-be-great-but-proven-bad games. And The Order: 1886 really does look good indeed, so let me start off with the good things. The first thing that comes to mind is of course, the game’s stunning visual design. There is absolutely no doubt about this, in every screenshot and every video featuring actual gameplay, you can see that this title is one of the most beautiful games to come out, and I’m certain that this will not change when the game actually comes out. I’m 100% sure that the incredible graphics will not disappoint and they’ll be just what we expect them to be. It also has that cinematic feel, the camera seems perfectly placed on all occasions, and the transition from cut-scenes to actual gameplay has a natural flow about it. The game’s story is also very intriguing. To summarize, you are a knight, part of an ancient order, and placed at the center of the human race’s struggle for survival. You deal with some kind of rebellion which seems to be working together with ‘half breeds’ which are some kind of creatures evolved from their human form through mutation and have the ability to shape-shift, changing their form from looking like an ordinary human being to big monstrous… monsters. 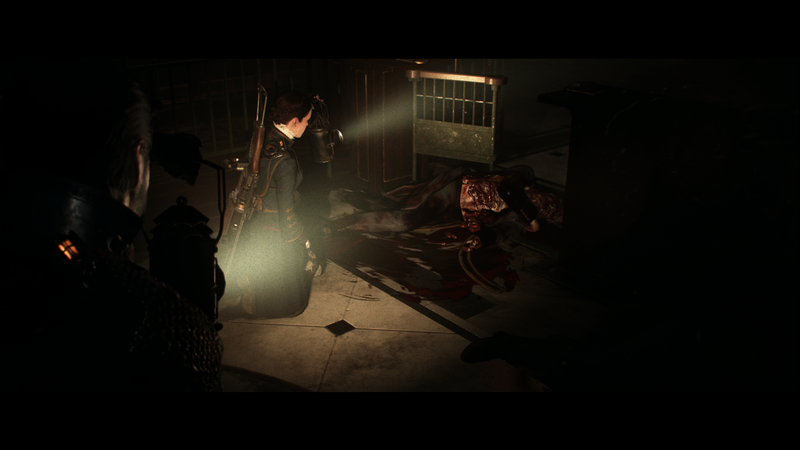 The Order: 1886 seems to be providing lots of intense and dramatic moments along its narrative line, and it kind of reminds me a bit of The Last of Us. You know, crouching through dark corridors, listening for breathing sounds of dark, twisted creatures? Can’t deny the bit of familiarity. But what I find noteworthy is the game’s setting and atmosphere. 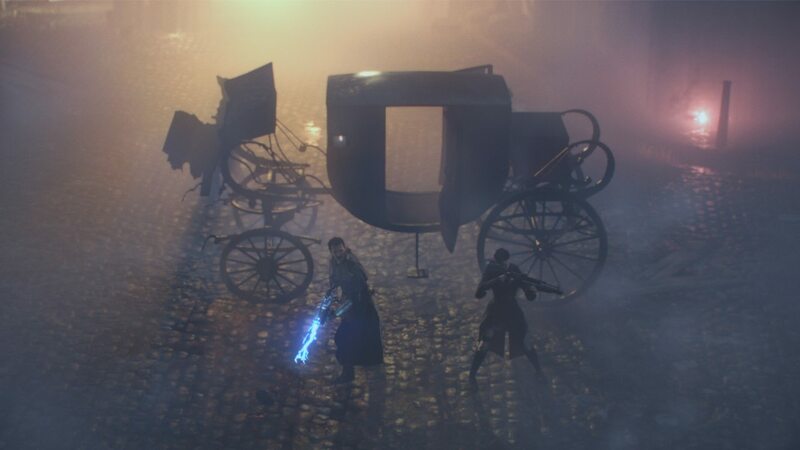 It takes place in an alternate history, a unique version of Victorian-era London and it’s this blending of fiction and real-world locations and historical facts that gives the game a sweet taste. To quote Playstation Blog: “As the game takes place in an alternate history, you will be able to interact with real-world historical characters who will aid you in your quest. You will see and navigate real places. You will not only be a witness, but have a hand in real events that have unfolded”. This, together with the omnipresent steampunk theme, the intense gun-fights and monster hunting, evokes a great atmosphere in a well-built universe. Let’s just hope it doesn’t get over too quickly. 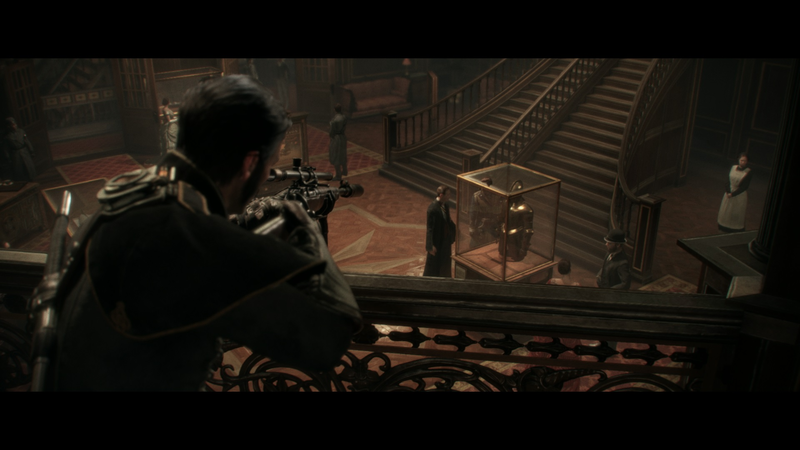 Now, it may seem as The Order: 1886 may overcome any minor flaw with all those sweet elements, but that’s rarely the case. And, because the purpose of all those trailers and videos is to promote the game, there aren’t many bad things to notice so I think I may be a bit short-handed here. BUT, there actually is one major flaw this game may have and it could compromise it whole. The gameplay may get old and dull quicker than anticipated. If there isn’t enough variation in terms of fighting, movement and game mechanics, the whole gameplay system may collapse into a total drag. The run-for-cover mechanic a la Gears of War that seems to dominate the majority of the title’s fighting scenes is not what I’d call diverse. And judging by some of the opinions that belong to people who actually tried the game, I’m afraid that this may be a very possible scenario and a real problem. The same goes for the quick-time events. Yes, they may look awesome, gruesome and beautiful, but there’s nothing new about them. The game needs to bring something fresh to the table, otherwise it will just be recycling what other games did before it (and probably did it better). So, even with its great graphic qualities, its beautiful atmosphere and interactive storyline, The Order: 1886 will simply be thrown in the 7-ish mark game category, the same basket where titles like Watch Dogs now reside. The hype is strong with this one and the bigger it is, the bigger the fall it will be. If people get another buggy, unfinished and totally dull title, a lot of faith will be lost as gamers are tired of unkept promises and broken games. So, before you get all hyped about this game, or even think of pre-ordering it, remember that not everything that shines turns out to be gold. And boy, this game shines.